Louis Vuitton Moet Hennessey (LVMH), owner of well-known brands such as Louis Vuitton, Fendi, Christian Dior and Marc Jacobs, has just imposed new criteria on African crocodile farms, which supply his tannery. Respect for the environment and the well-being of the animal must now be a prerequisite for any purchase of exotic leather by the world's leading luxury goods company. African crocodile farms, particularly those in Zambia, Zimbabwe and Kenya, will need to be more careful about environmental standards. One of their major customers, Louis Vuitton Moet Hennessey (LVMH), the world’s leading luxury goods company, has just tightened its criteria for supplying exotic leather. The conditions, announced by the group on February 20, 2019, specify that it is a matter of ensuring the preservation of the species, respect for local communities, animal welfare, working conditions for men and women on farms and the protection of the environment in general. In addition to this list, 100% of the skins already in place are traceable on farms. This initiative is part of an initiative by the LVMH group to ensure that there are no networks of poachers and animal torture in its crocodile skin supply chain. This is because, according to PETA (People for the Ethical Treatment of Animals), an American animal welfare association, reptiles living on crocodile farms are often confined in tiny pits and sometimes tortured while they are still alive and struggling. Towards stopping the sale of products made from animal skins? The decision taken by LVMH is part of a global movement that began with the limitation and exclusion of furs. Under pressure from animal advocates and thanks to the arrival of very high quality synthetic furs, the claws have given up, one after the other, the use of natural fur, which does not represent a large turnover for these luxury brands either. With the exception of Fendi, who resisted, under the impetus of Karl Lagerfeld, who defended the use of the Italian fur and the historical trades of the Italian furrier to the very end. 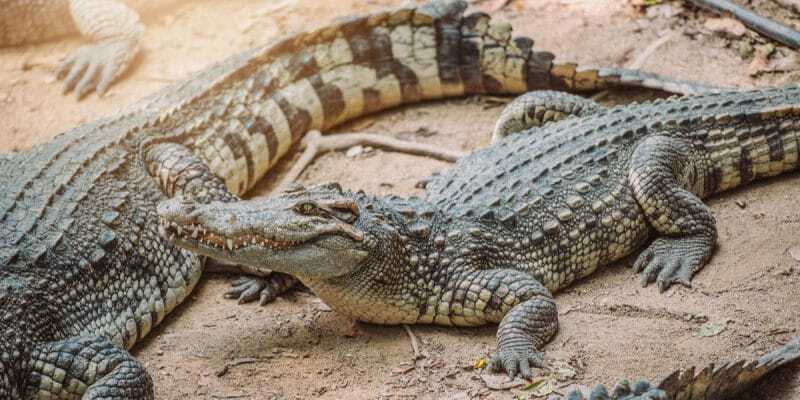 However, the old crocodile died on February 19, 2019, and the story on the move will never stop. Even if, the Chinese market remains a big consumer…. Another matter concerns reptile skins (snakes, crocodiles, lizards, stingrays, etc. ), which are used in the manufacture of fashion items, such as bags, shoes and belts. It takes longer for consciences to wake up to save a crocodile than a baby seal and for the luxury industry, bags made of exotic skins are a highly profitable leather goods product that has grown rapidly in recent years, particularly in new emerging markets. The decision taken on December 4, 2018 by the haute couture house Chanel thus sounds like a thunderclap heralding future upheavals. From May 2019, the brand will eliminate animal furs in its creations… as well as exotic skins. All this, in the name of ethics and the very trendy concept of “responsible fashion”, which has been acclaimed by many film stars, such as Emma Watson and Marion Cotillard. Chanel’s press release put pressure on the entire luxury industry. It is in this context that it is important to understand LVMH’s announcement to apply responsible criteria to the purchase of reptile skins in the future, which the world leader in luxury does not seem to want to abandon, for the time being. However, a glimmer of hope is permitted, since the LVMH group now includes the PETA association among its shareholders. On January 13, 2017, the American Animal Rights Association purchased shares in Louis LVMH. Objective: to put pressure on the luxury group to stop selling products made from animal skins.